How does 23andMe use personal information? 23andMe uses your Personal Information in the following ways. 23andMe collects Personal Information from you for all purposes necessary to ensure the regular operation of your account and/or availability of our Services. These include, among other things, providing you with our Services; improving our Services and/or offering new products or services to you; performing quality control activities; conducting internal R&D; and, upon your authorization, conducting 23andMe Research on diseases, traits, and other conditions. We use Registration Information to enable your purchase, inform you when your Genetic Information is available to you, provide you with customer service, manage our Services, and authenticate your website visits and usage. We may also use this information to offer you other products or services or to invite you to participate in specific research projects. We may disclose to third parties, and/or use in our Services, "Aggregated Genetic and Self-Reported Information", which is Genetic and Self-Reported Information that has been stripped of Registration Information and combined with the data from a number of other users sufficient to minimize the possibility of exposing individual-level information while still providing scientific evidence. If you have given consent for your Genetic and Self-Reported Information to be used in 23andMe Research as described in the applicable Consent Document, we may include your information in Aggregated Genetic and Self-Reported Information intended to be published in peer-reviewed scientific journals. If you do not give consent for your Genetic and Self-Reported Information to be used in 23andMe Research, we may still use your Genetic and/or Self-Reported Information for internal purposes as described above, which may include disclosure of Aggregated Genetic and Self-Reported Information to third-party non-profit and/or commercial research partners who will not publish that information in a scientific journal. We will never release your individual-level Genetic and/or Self-Reported Information to a third party without asking for and receiving your explicit consent to do so, unless required by law. We use Web Behavior Information to track and monitor aggregate usage of our website, for internal R&D, for quality control, to improve our Services, and/or to target advertising for our products and services. 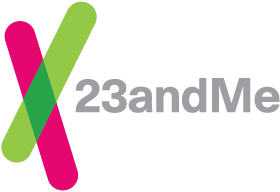 We give you the ability to share your Genetic Information with other 23andMe customers through sharing features. Partners or service providers (e.g. our contracted genotyping laboratory or credit card processors) use and/or store the information in order to provide you with 23andMe's Services. We are required to do so by law (see the section below titled "Information Disclosure Required By Law"). You have provided explicit consent for us to do so. For full details of how we use your Personal Information, please read our Privacy Statement. Will the information I provide be shared with third parties? Can I be genotyped anonymously?